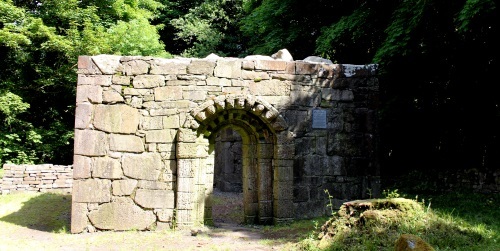 Special Easter Cruises to Inchagoill Island at 1pm this Saturday and Sunday. Book now to avoid disappointment. Corrib Cruises offer lake cruises every day of the year on beautiful Lough Corrib. 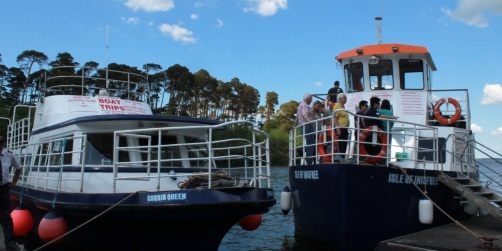 The morning cruise departs from Ashford Castle and Lisloughrey Pier and is an excellent way to see the many sights along the lakeshore. A commentary is provided throughout the voyage. During July and August we also operate a return cruise from Oughterard to Cong via Inchagoill Island. This cruise sails on Wednesdays and Saturdays in September. Cruises can also be arranged for groups at any time of the year. Take a day tour from Galway to Cong and a Lake Cruise with High King Tours. *Please note that Ashford Castle Hotel charge non-residents to enter the grounds of Ashford Castle. Passengers who are not staying at Ashford Castle Hotel and do not want to pay to enter the grounds of Ashford Castle can join cruises at Lisloughery Pier,Cong,which is a public pier. The Oughterard Cruise ticket price includes admission to the gardens at Ashford Castle. You can book your cruise directly on this website. We accept payment by credit cards, debit cards and Paypal through a secure server. If you do not wish to book online you can contact us directly on 087 994 6380 to make a booking over the phone. We can accept credit cards and debit cards over the phone. Please contact us directly by phone or e mail if you wish to make a Group Booking. 3pm - Two Hour Island Cruise from Lisloughrey Pier - June 1st to September 30th. Oughterard Pier – July and August – everyday except Tuesdays. September - Wednesday and Saturday. *Please note that Ashford Castle Hotel charge non-residents to enter the grounds of Ashford Castle.The Oughterard Cruise ticket price includes admission to the gardens at Ashford Castle.